CAMDEN, N.J. (FOX 29) – Some area students were practicing their math skills Wednesday. The lesson wasn’t in the classroom and it didn’t involve books. It actually incorporated basketball and their favorite team the Sixers. This was the third annual ‘Math Hoops’ tournament at the Sixers training complex in Camden, New Jersey. The Sixers Dunk Squad and mascot Franklin even showed off their moves. But then it was down to business, some 129 students from 50 area schools put their knowledge to the test and competed in a fast-paced basketball board game. A little luck didn’t hurt and some good spins of wheel helped, too. But it was about more about math and communicating, plus teamwork. The teams went at it for a good two hours with parents, family members and teachers anxiously watching and cheering the players on. Those who were eliminated got to play another version of ‘Math Hoops’ on the actual hardwoods where their favorite players practice. 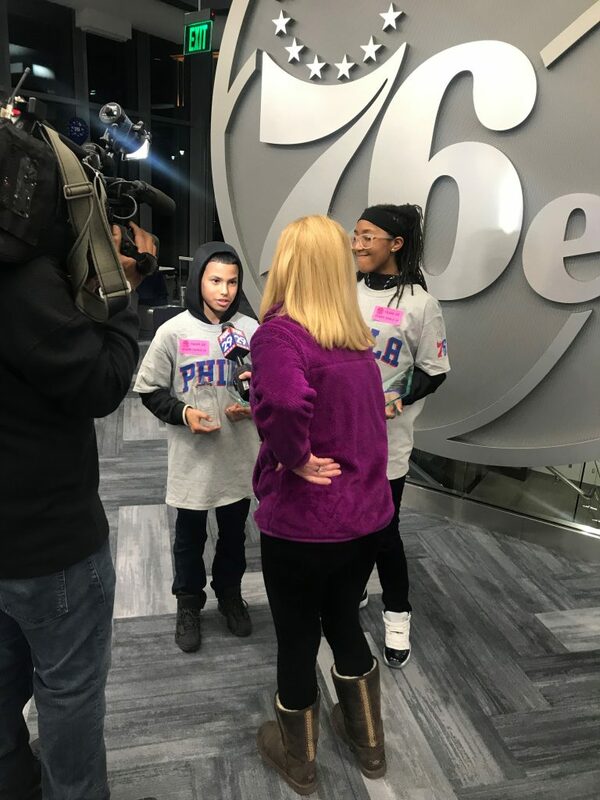 Finally, it was down to two teams—one from Wilmington, Delaware, and the other from Camden, New Jersey, with the Camden kids coming out on top.